VMware NSX is a software networking and security virtualization platform that delivers the operational model of a virtual machine for the network. Virtual networks procreate the Layer2 to Layer7 network model and allow complex multi-tier network topologies to be created and provisioned systematically within seconds, without the need of additional SoftLayer Private Networks. NSX also provides a new model for network security and security profiles are distributed to and enforced by virtual ports and move with virtual machines. NSX manager provides a centralized management plane across your datacenter and provides the management UI and API. It works as a virtual appliance on an ESXi host and during installation process a plugin integrated into the vSphere Web Client through which it can be managed. Each NSX Manager manages only one vCenter Server environment. The NSX controller is a user space virtual machine that is deployed by the NSX manager. It is one of the core components of NSX which provides a control plane to distribute network information across ESXi hosts. They are deployed in a cluster environment, so as you deploy these, you can add more controllers for better performance and high availability so that if you loose any of them, you still have control functionality. This guide will walk you through steps to perform basic installation and configuration of VMware NSX Manager. 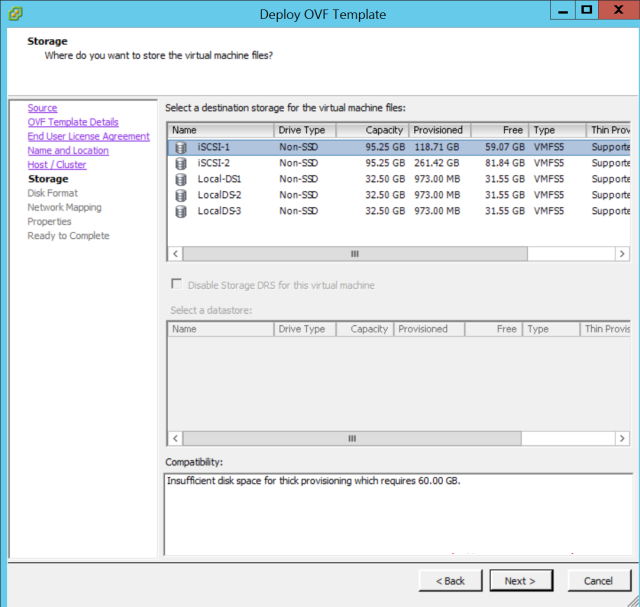 vSphere infrastructure should be ready with configuration of at least 2 cluster. 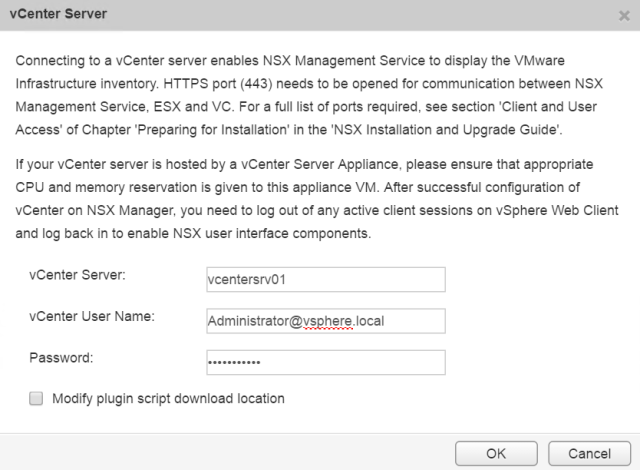 NSX can only be managed through vSphere Web Client. Ensure DNS and NTP servers are ready in your infrastructure. Make sure you have all the required System Resources (CPU and Memory) available in your cluster to deploy various NSX Components such as NSX Manager, Controller,etc. You should have configured your Distributed Switch to use Jumbo frames i.e. MTU 1600 or more. 443 between the ESXi hosts, vCenter Server, and NSX Manager. 443 between the REST client and NSX Manager. TCP 902 and 903 between the vSphere Web Client and ESXi hosts. TCP 80 and 443 to access the NSX Manager management user interface and initialize the vSphere and NSX Manager connection. TCP 22 for CLI troubleshooting. The NSX Manager virtual machine is bundled in (OVA) file, which allows you to use the vSphere Web Client to import the NSX Manager into the datastore and virtual machine inventory. 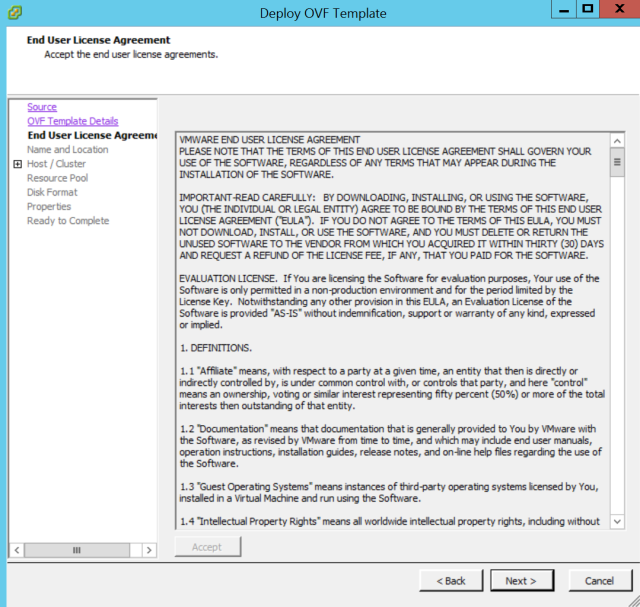 VMware NSX can be downloaded from VMware. 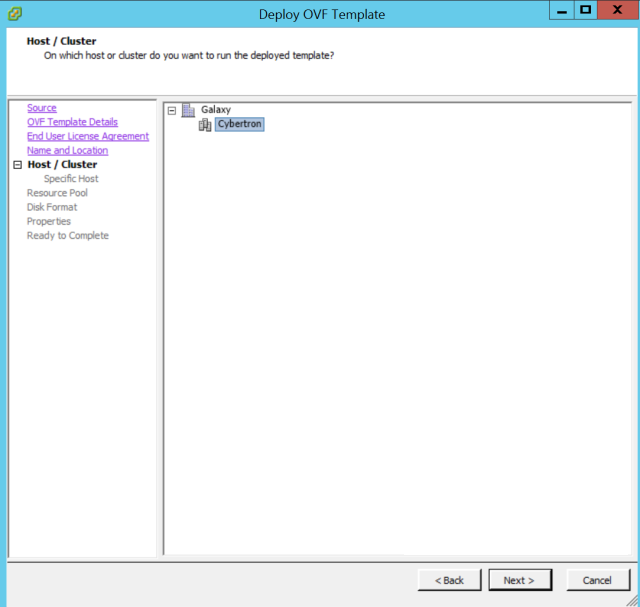 Once NSX manager ova file is downloaded, you can start deployment and I am sure you know how to do it. 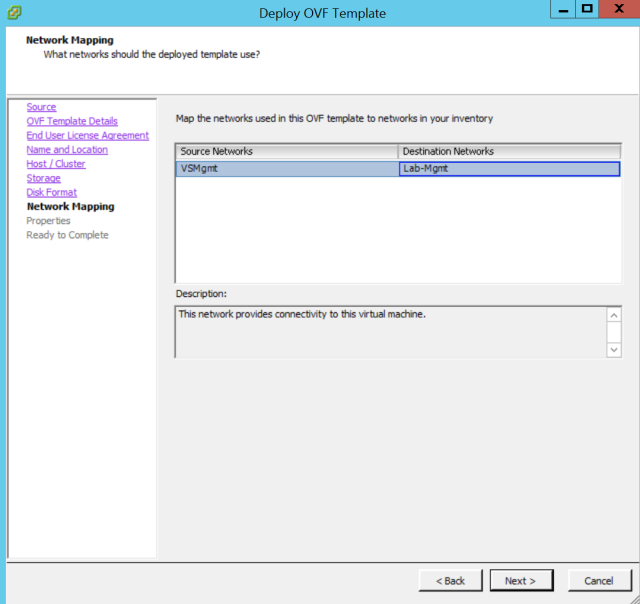 Provide a name for your NSX manager VM and Click Next. 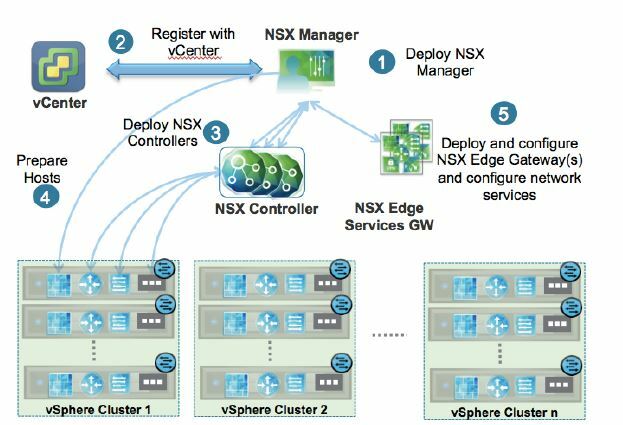 Select the cluster where you want to deploy the NSX Manager and Click Next. It is recommended to use thick provision if you deploying in a production environment. 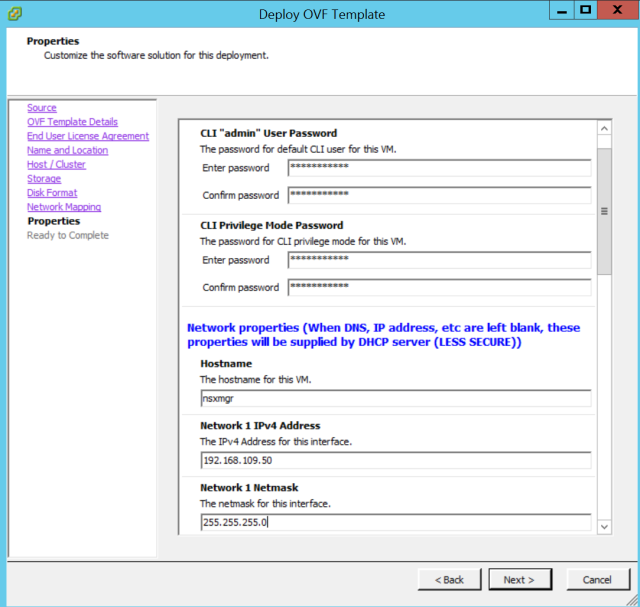 Select the appropriate network for NSX Manager management interface. Provide the password and the IP/Netmask information etc. Once deployment completed, power on the NSX Manager vm and launch console of the NSX manager. 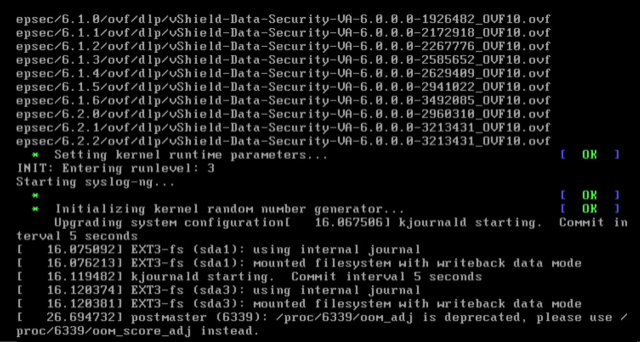 Here you can see the booting process which looks very similar to any other VMware appliance. We have successfully deployed NSX Manager. 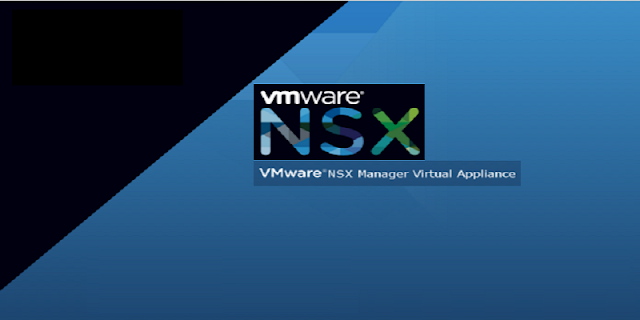 Once you logged in NSX manager admin console, click on Manage Appliance Settings. Verify NTP settings. Change the Timezone as per your country. Verify Network settings and correct it if you see anything wrong by Clicking Edit button. 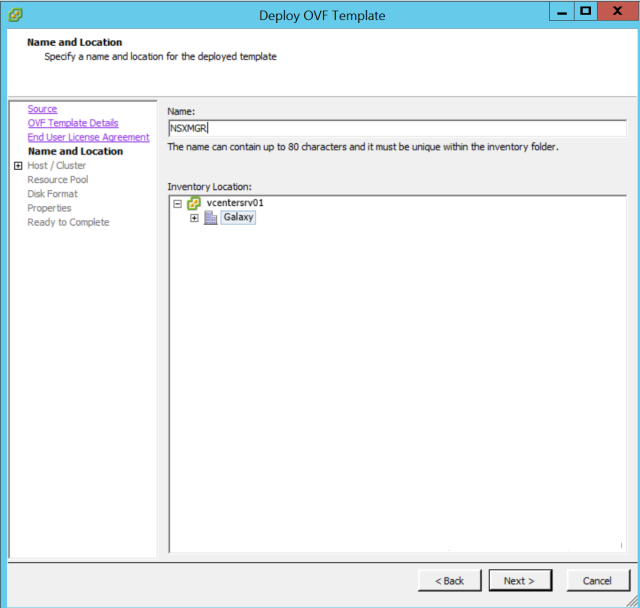 Click NSX Management Service to link this NSX Manager with a vCenter Server. Here you need to configure Lookup Service URL. This is the url to machine where your vCenter PSC is running. Note that with vSphere 6, lookup service is running on port 443 and not on port 7444. 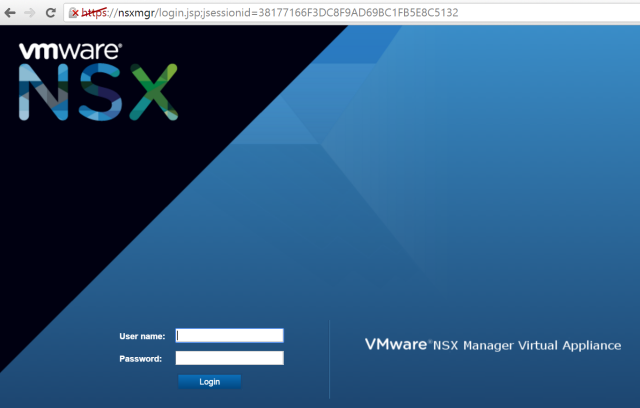 NOTE: If the SSO admin is being used to connect NSX to the vCenter, only the SSO admin will have access to the NSX section in the vCenter web client. If you do use the SSO admin to connect, but use a different user to connect to the web client, you will need to login to the web client using the SSO admin first and defined the desired user the appropriate permissions to access NSX. 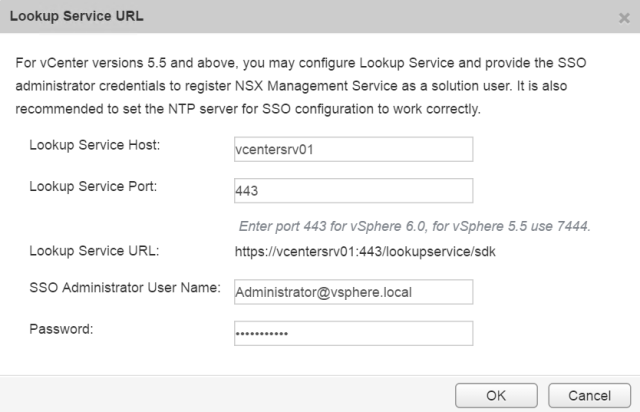 Once the Lookup and vCenter information is provided in NSX Manager, you should be able to see the status as “Connected” with Green light for Lookup service and vCenter Server. 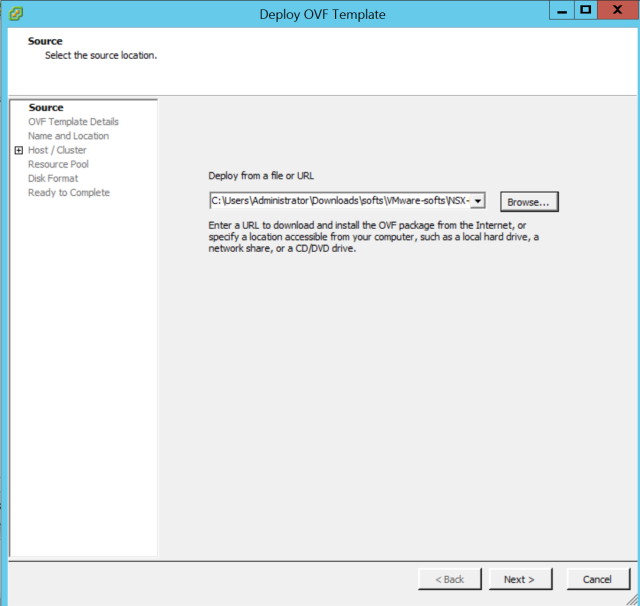 At this point, Cick on Summary page to verify all services are running on NSX manager. 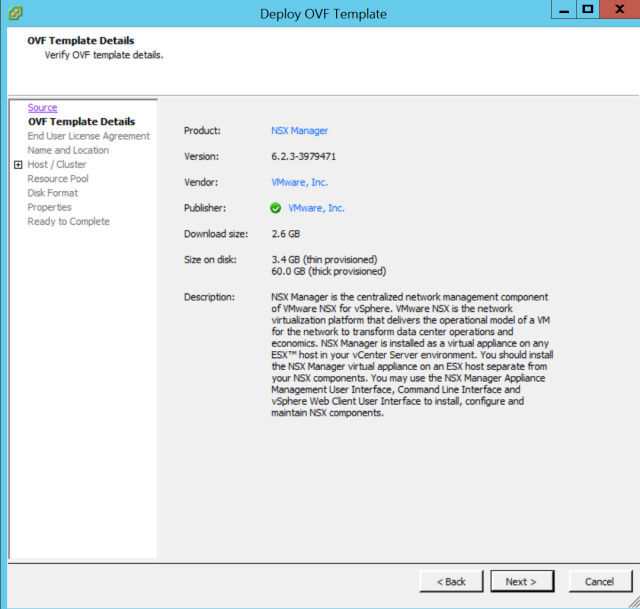 We have demonstrated VMware NSX Manager deployment and some basic configuration in this guide. 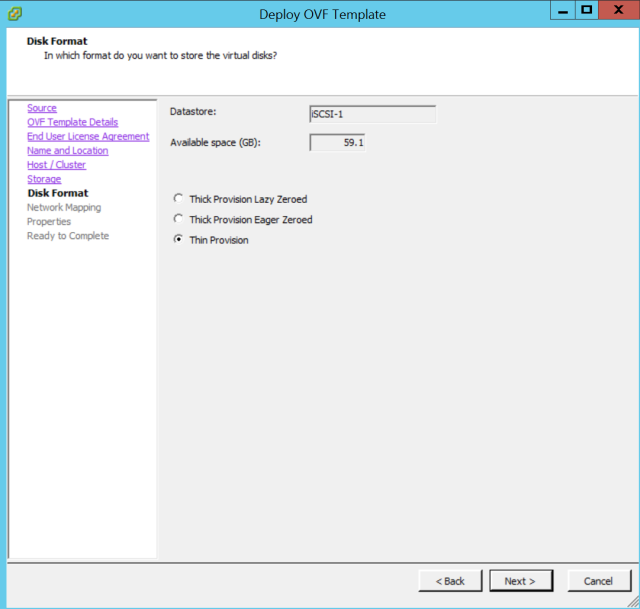 I hope this was helpful to deploy your NSX Manager within you virtual environment. 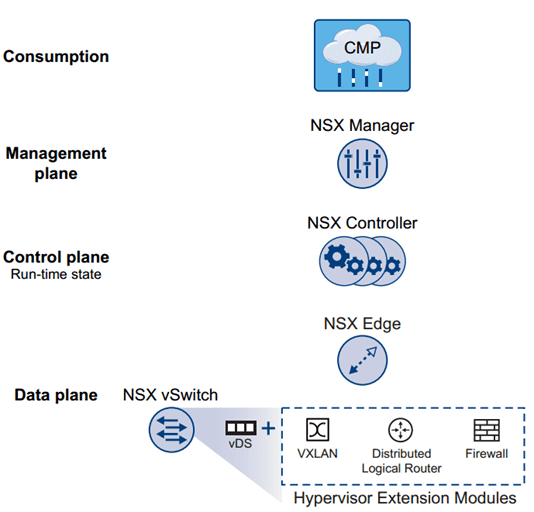 In the next part of this article, we will be Deploying NSX Controllers.